The other day, I found the cutest milk carton inspired glass jars with straws! Instantly, I knew these would make adorable gifts for teachers! 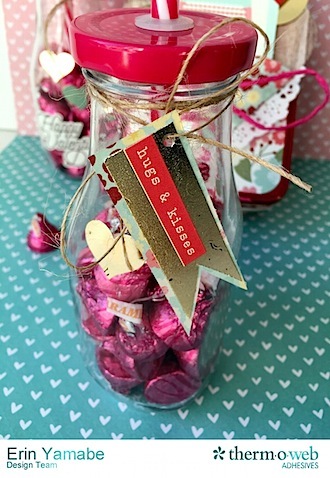 We will be going back to the store to pick up a few more, and then enjoy making these heart filled tins! We will write our teachers sweet notes about what we appreciate about them! For more, check out the Therm O Web blog! 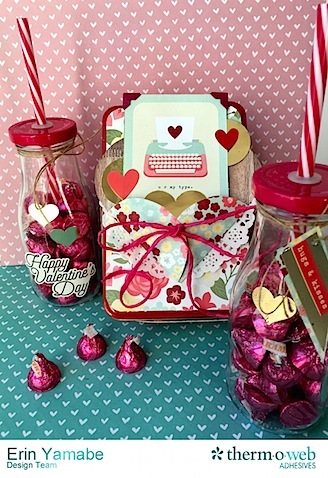 Next post: Lovin the ICraft Deco Foil!